Roxanne was expecting a standard babysitting gig, no matter what crazy homeless Edgar tried to tell her. But this is Narrowdale, and nothing’s ever quite normal. 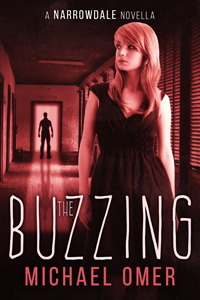 When two of the kids she is looking after disappear, things quickly spiral out of control. Now Roxanne’s crawling around in old maintenance tunnels, catching glimpses of creepy happenings in the building’s many apartments. In one of them lives a man with a dark, terrible secret, and Roxanne’s path is on a collision course with his.